A: No it does not, you have to purchase a pass for the hoosier forest. You can get one at the story inn. 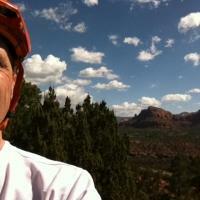 Review: Really awesome back-country trail that far exceed my expectations. Great flowing downhill sections with short "punchy" climbs that will get your heart racing. Since this is a horse trail I expected a rough and rutted ride, but for the most part it was pretty smooth. Right now the trail has a few fallen trees blocking the path, because is not a technical trail by any stretch of the imagination natural obstacles were fun and welcomed. Can not wait to go back! Review: Great Trail. 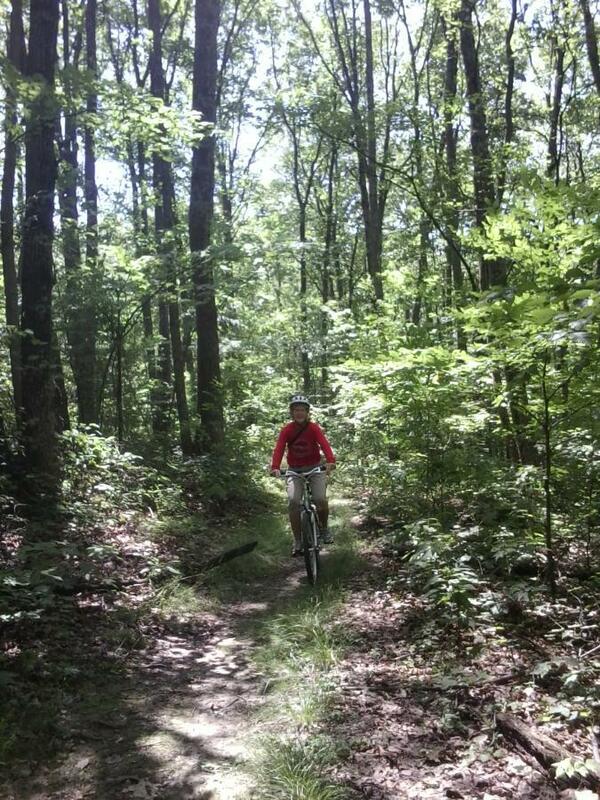 I like how this trail is not manicured like brown co. Its real mountain biking. Will definitely come back to this trail. Review: Admittedly have not riden this trail for several years. Had the opportunity to connect it with a road ride and we used the north trail head as our end spot. I remember the trail being heavily used and well maintained. There was a tremendous amount of over growth, downed trees and washed out sections. Agree with a previous review "do not ride this trail alone". No cell coverage, we did not see a single soul on our ride and minimal signs of use. Additionally there was no traffic at the trail head. Combining this trail with the Combs road will create a loop vs. an out and back. Starting from the north trail head, exit then turn left onto "W Elkinville Rd". Steep climb and descent. At the "T" go left onto "Combs Rd" Follow this road thru the remote section onto county road. Crossing the bridge stay left onto "W County Rd 1000". South trail head will be on your left about a mile. My guess is that prior to Brown County being so well maintained and used that Nebo Ridge was the trail of choice. The additional drive time and limited trail options has made this trail less popular. If you are looking for a change, no crowd riding and dont mind the over growth it is an adventure worth taking. Review: Singletrack up, but once you are up there are seven saddles that you roll through in the big ring. If you can keep your momentum high, you will have a really fun ride for about five miles. Well worth the road trip combined with Brown County. 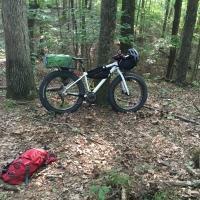 Review: Great trail and really the grandfather of mtn bike trails in Indiana. It is actually call Nebo Ridge. Knobstone is a hiking only 50+ mile trail. Some tough climbs and some great areas that flow. I ride it every year during the Brown County Breakdown and it is one of my favorite parts of the day. Review: Nice marathon ride. Fun going out and challenging going back. Save something for the return trip or bonking could be in your future (I speak from experience). 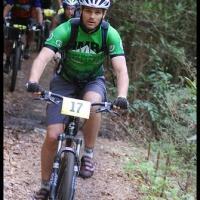 Nebo Ridge MTB Trail 3.70 out of 5 based on 12 ratings. 12 user reviews.